The French qualifying phase of the “Roland-Garros eSeries by BNP Paribas” e-gaming tournament, launched worldwide by the FFT and BNP Paribas, will be held today, Wednesday 25th April, in a BNP Paribas branch in Paris. The 64 participants will compete for a place in the final, which will be played at Roland Garros stadium on Friday 25th May 2018. This qualifying tournament will be attended by the eSport ambassador for Roland Garros, Norman “Genius” Chatrier, a professional video game player. He is the grandson of former French Tennis Federation president Philippe Chatrier. Registration for the qualification events in Italy (Rome – May 2nd – people interested in participating can send an email to RGeSeries.it@fft.fr to register), United Kingdom (London – May 4th – RGeSeries.uk@fft.fr ), India (Delhi – May 5th – RGeSeries.in@fft.fr ), Belgium (Brussels – May 9th – RGeSeries.be@fft.fr ) and Spain (Madrid – May 16th – RGeSeries.es@fft.fr ) are still open ! 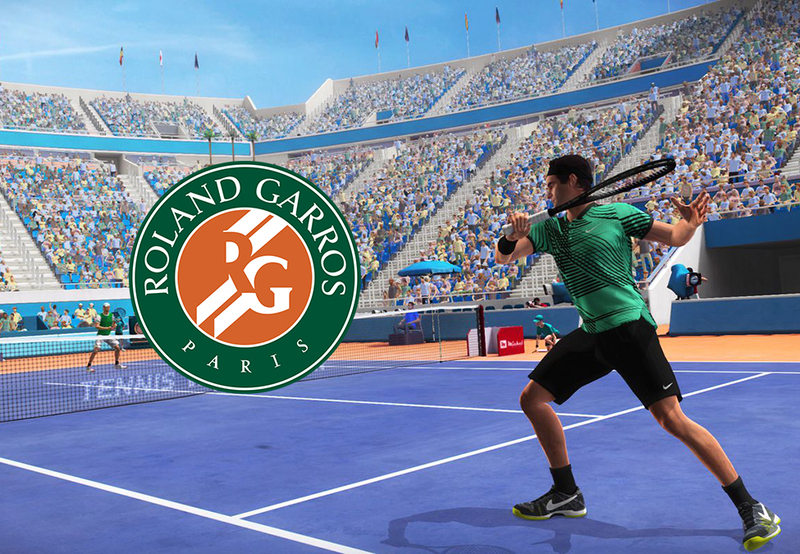 This competition will be played on the forthcoming video game “Tennis World Tour”, published by Bigben. A demonstration version of the game will be used, which has a clay court decorated in the Roland Garros colours and a selection of players that includes Gaël Monfils, the game’s ambassador. Tennis World Tour will be released on 22nd May for PlayStation®4, Xbox One, Nintendo Switch™ and PC.